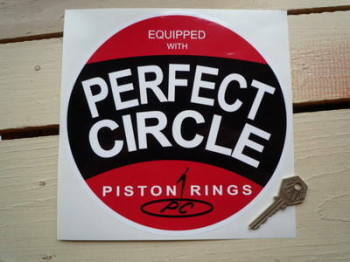 Perfect Circle - I Say Ding Dong Shop - Buy Stickers, Decals & Unique Automobilia. 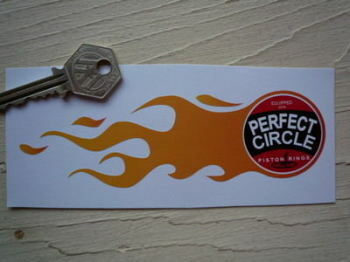 Perfect Circle Flames Stickers. 5.75" Pair. 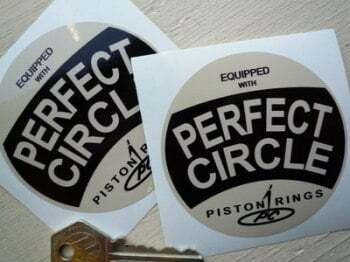 Perfect Circle Piston Rings Black & Cream Stickers. 3" Pair. 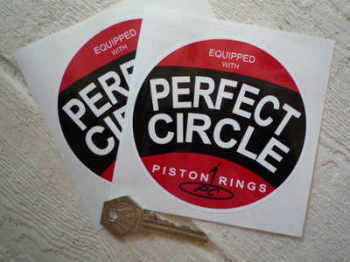 Perfect Circle Piston Rings Circular Sticker. 8". 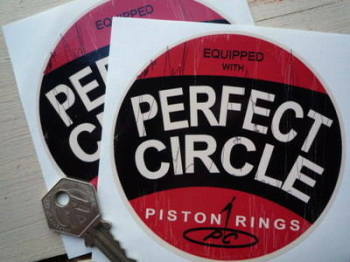 Perfect Circle Piston Rings Oblong Stickers. 8" Pair. 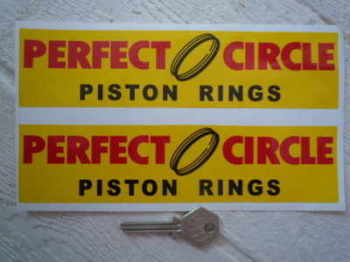 Perfect Circle Piston Rings Round Stickers. 4" or 6" Pair. Perfect Circle Worn Style Circular Stickers. 4" Pair.